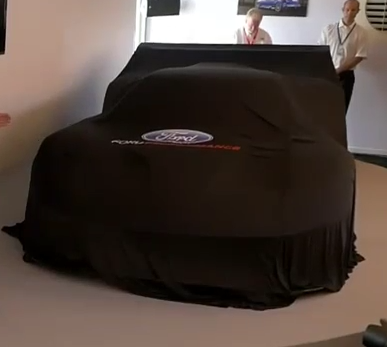 Ford announced a return to LeMans in 2016 this morning at a press conference at LeMans, where Bill Ford will flag the race to a start tomorrow. 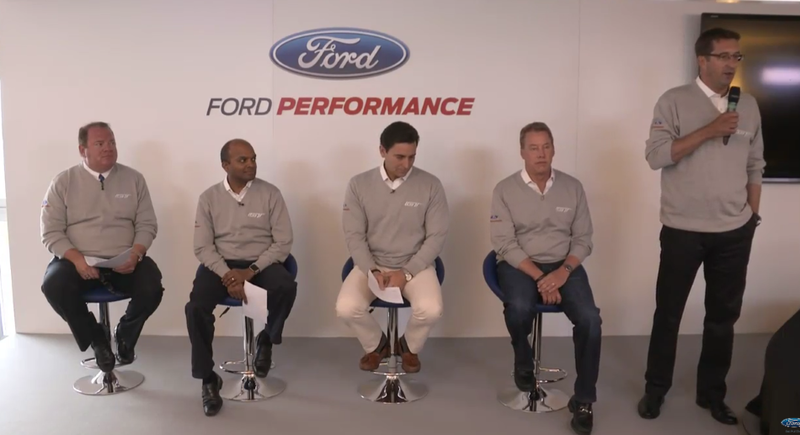 Making the announcement were (right to left) Bill Ford, Mark Fields, Raj Nair, and Chip Ganassi. And here it is after unveiling. Innovation was the word of the day: from Ford F-150 aluminum bodies to 3D printing to the EcoBoost line of engines (over 5 million delivered and offered across the entire lineup), the GT will highlight these innovations and lead Ford to others. This is one of the most transformative periods in the history of the company and as Mark Fields says, the Ford GT supercar is about taking bold and daring moves within the company. 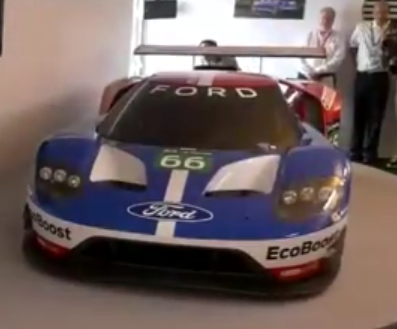 It was also said that the 2003 Ford GT was not designed for racing, but that this one was right from the start. 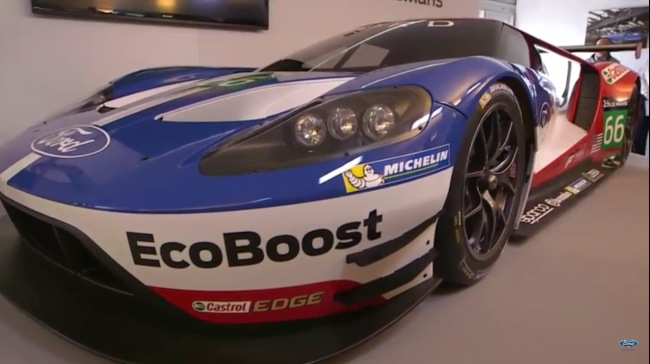 The 3.5 liter Ford EcoBoost V-6 has already been raced for 2 years in the Tudor United SportsCar Championship series and will be further developed for the race car by Roush Yates Engines.